In Robert Zemeckis’s 1985 classic film “Back to the Future,” Michael J. Fox is sent back to Nov. 5, 1955, setting the stage for one of the most innovative movies of the last 30 years. To commemorate yesterday’s 59th Anniversary of Marty McFly’s arrival, members of the St. Paul’s community told The Paper Wolf where they would go if they had the chance to hop inside the DeLorean. 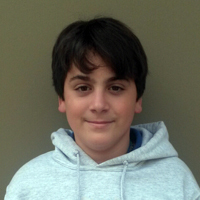 Eighth-grader Joshua Dufrechou would go to the crucifixion of Jesus Christ, citing a desire to save Jesus. “(If He were alive), we could have everlasting peace and love because Jesus would be living,” Dufrechou excitedly said. Freshman Lester Guttuso would go to the 1940s. “I think the World War II era (is where I’d go) if I could pick any time in history. I feel like that was a cool time period where America as a society began to advance in progress both during and after the effects of World War II,” Guttuso said.